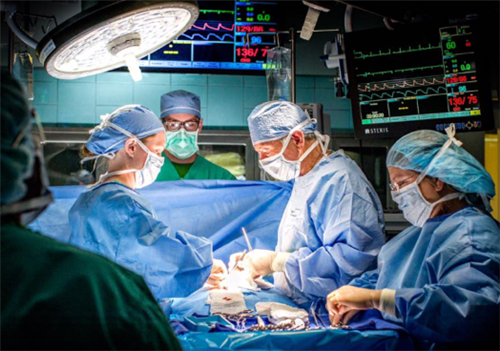 LSUHSC Trauma and Critical Care faculty provide services at UMC-NO's only verified Level 1 Trauma Center in South Louisiana as part of the Spirit of Charity Trauma Program by continuing a long history of providing care to critically injured trauma patients. A Level 1 Trauma Center has the highest level response for the major trauma patient, hosts trauma-related research, and serves as a resource for the community with prevention and outpatient care programs. The Trauma Team uses a cohesive medical approach of physicians, nurses, technicians, therapists and ancillary staff to assure that the trauma patient is evaluated, resuscitated and treated expeditiously and appropriately. With approximately 2,000 admissions a year, our Trauma Center is one of the busiest inner-city Level I trauma centers in the country.